In 2011, Toronto’s Ward 27 Councilor Kristyn Wong-Tam commissioned KPMB Architects and Greenberg Consultants to prepare a vision for the area’s future growth, including detailed development and design guidelines. 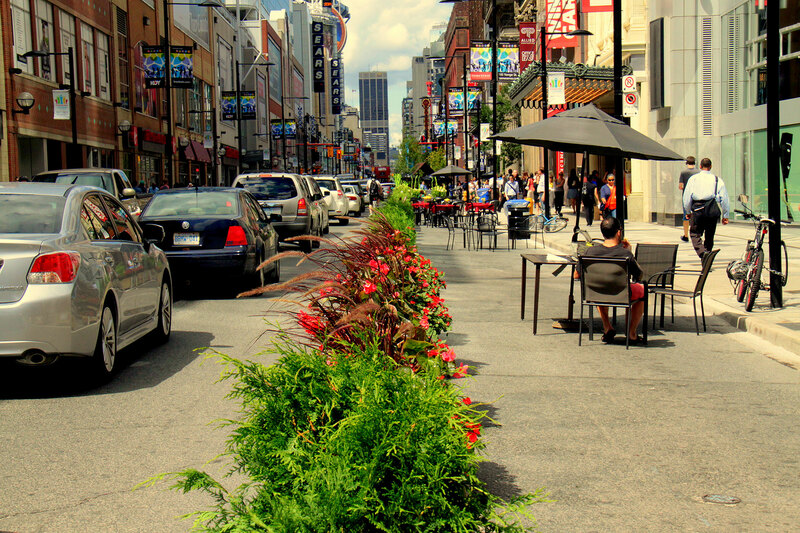 The report, delivered that June, recommended testing various lane reductions to improve the pedestrian experience on Yonge Street—which then inspired the “Celebrate Yonge” event of summer 2012. 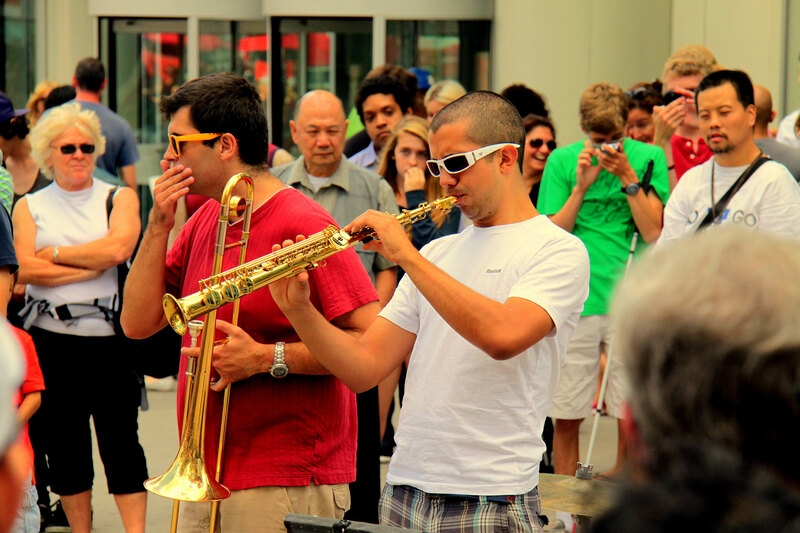 Representing over 600 retail stores and 150 bars and restaurants around one of Canada’s most heavily walked corridors, the Downtown Yonge Business Improvement Area (BIA) helped develop a cohesive plan for the event. The plan would balance the needs of the local community while also proposing counter-measures for negative impacts on traffic, transit, waste management, emergency services, and commercial deliveries. With Councilor Wong-Tam spearheading these efforts, city council approved the BIA’s proposal for a partial closure of Yonge Street for one month—from August 17 through September 16, 2012. For the event, planners divided the four blocks into eleven themed zones, six of which used temporary curb extensions and planter-box-protected bulb-outs to create new pedestrian space. 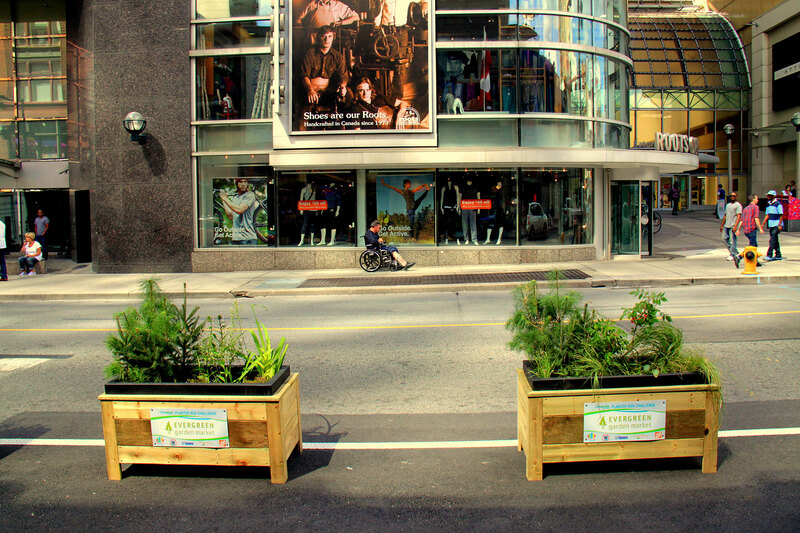 The planter boxes also became an area of collaboration, with professional garden design firms competing for the title of “best public display.” These themes helped diversify the promenade’s appeal, and adjacent businesses offered special promotions for “Celebrate Yonge” visitors. 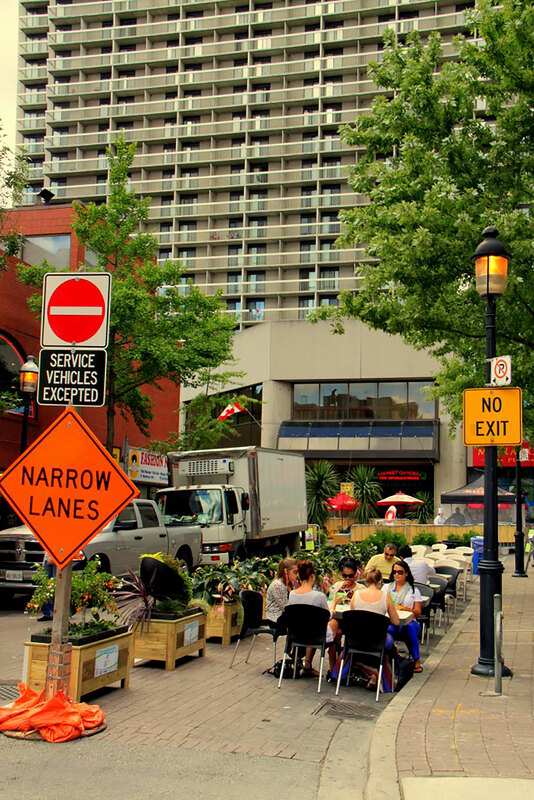 Through this well-organized, multi-stakeholder endeavor, advocates for a better Yonge Street were able to contribute in various ways, and the project marked a turning point in the movement for livable streets in one of Canada’s busiest metropolis. 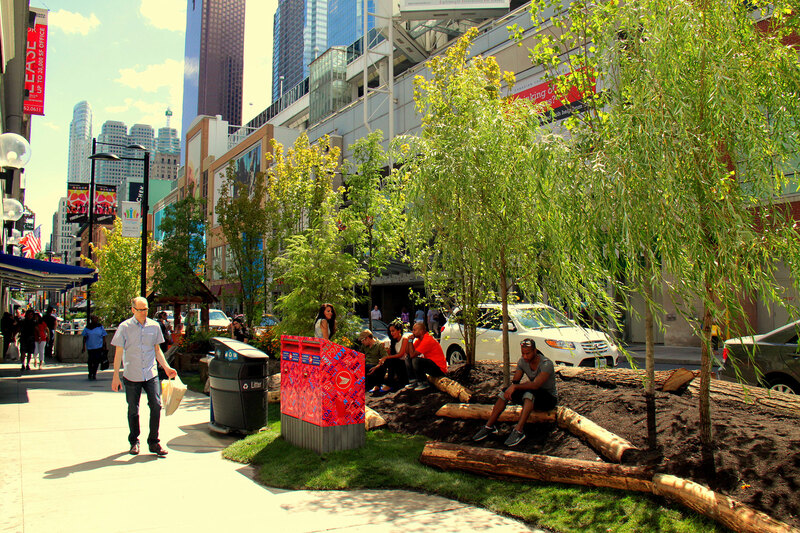 Various landscapers competed during Celebrate Yonge for "best planter"